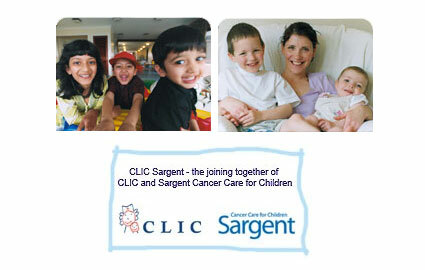 CLIC Sargent wants to see a world where all children and young people with cancer live life to the full. The care and treatment of children with cancer has come a long way and today, 7 out of 10 children and young people diagnosed, will survive. CLIC Sargent is committed to improving this figure still further through its specialist care and by funding both clinical and social research projects. Cancer is still the largest killer disease in young children. The survivors of childhood cancer face major challenges of on-going side effects and discrimination. They still need our support. Sargent Cancer Care for Children was founded in 1968 by Sylvia Darley OBE as a lasting memory to the late Sir Malcolm Sargent. CLIC - Cancer and Leukaemia in Childhood was founded in 1976, in the South West, by Bob Woodward, following the death of his young son to cancer.